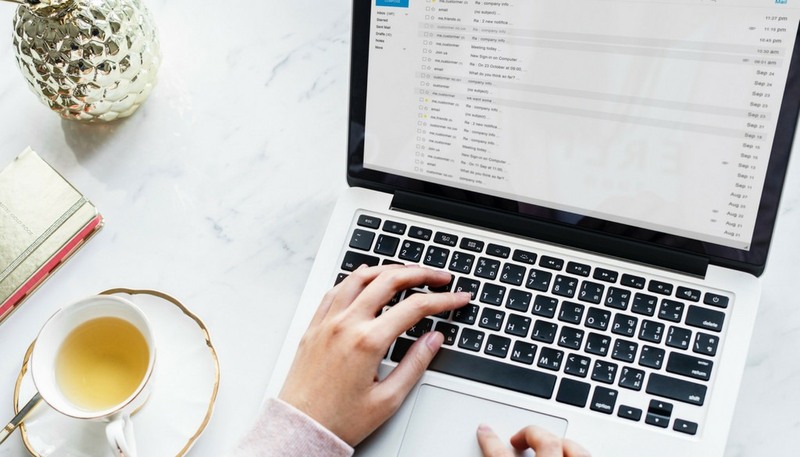 In honor of National Email Week this week, we would love to share a few tips on building customer loyalty through email. Customer loyalty is crucial to enhancing your business. Your followers are what keep your business alive, so it is important to keep them satisfied and loyal to you. The key to keeping customers loyal, beyond great products, services, and customer service, is to continually show your appreciation. But how can you consistently say “thank you” and reward your devoted customers while dealing with the time constraints that come along with running a small business? When you use email marketing as part of your loyalty strategy, it allows you to send personalized emails and build stronger relationships with your customers. And you can automate much of the process, allowing you to get back to the millions of other things you need to be doing for your business, all while helping your customers feel appreciated and top of mind. Say “welcome” and “thank you” with an automated welcome series when new contacts sign up to your list. Let them know you’re glad they purchased from you, and offer to help them with anything else they might need, including questions about the product or service, any aftercare, or whatever else they might want to know. You could also include some background information on your business, like your mission and why your customers are important to you. Lastly, make sure your customers know how to reach you if they need you. Provide office/store hours, contact information and even social media handles. Your customers will feel comforted to know you want to be there for them, instead of just forgetting them as soon as they leave your store. Customer longevity is certainly something to celebrate. Considering how many one time buyers you run across, the customers that stick around for years yield the highest return over time. So let them know how much they are appreciated by creating a recurring anniversary email to celebrate their becoming a customer. Send a “thank you” email, and include the number of years since they became a valued customer. And with this approach, the anniversary email will send automatically every year! When it’s a customers’ birthday, join their family and friends in saying “Happy Birthday!” Just like the anniversary example, you can create a recurring birthday email based on the dates of your customers’ birthdays. You can even make sure they feel extra appreciated on their special day with a coupon or a discount. They’ll be sure to thank you the next time they see you, or by purchasing from your store! Another way to nurture loyalty among your customers is to provide them with exclusive content and tips. As the business owner, you offer a unique perspective and knowledge that your customers are sure to appreciate. Use email to share some tips and recommendations on topics related to your business. For example, a garden center could include the best times of the day to plant certain bulbs, or suggest a garden design for small areas. A cheese store could recommend recipes or how to host a wine and cheese party. Content like this will certainly help the customer to feel appreciated, and in return, continue to be loyal. Keeping in constant communication with customers in a personalized way keeps your business top of mind, while keeping them loyal. So, for a small amount of effort, launching a customer loyalty strategy will create a cycle of repeat buyers who spread the word about your business. Email marketing allows your customers to feel the love, even if you don’t have the time.